Vientiane, the sleepy capital of Laos is a popular destination for expats and tourists in Thailand who wants to extend their tourist visa on arrival, get a longer duration tourist visa, get a working, spouse, or education visa. We call it visa run, as there's a Thai embassy in Vientiane. It is also a stop-over for backpackers who are trampling the Banana Pancake trail-on their way to the more popular destinations such as party place Vang Vieng, and UNESCO world heritage sites Luang Prabang and Phonsavan, where the mysterious Plane of Jars is located. Having been to a number of visa runs here, I noticed that most expats doesn't have a clue on what to do or where to go in this city, so they just end up in their hotel room sleeping and watching HBO while waiting for the processing of their visa. There's nothing wrong with that actually, but as a foreigner you need to make use of your time when in another country and make your travel more educational and meaningful. You can always sleep and watch TV at home. Life is short, so make the most out of it. Explore, discover, make friends, make memories and learn more about other culture. This city is one of my favorite cities in Asia, and honestly, I don't get tired of visiting this laid-back city, and is a joy every time I step in this former French colony. Here are some of the things to make your travel in Vientiane-and that 9-hour ride from Bangkok-more meaningful and memorable. This monument is inspired by the Arc de Triomphe in Paris. Make sure to climb at the top to have a wonderful view of the city. There are lots of Laotian photographers in the area. I strongly encouraged you to have your photos taken by them as well. It's one way of helping them and helping the economy of the country that your're visiting. We want to be a responsible tourists-and you'll have wonderful hard copy souvenir that you can display at home. 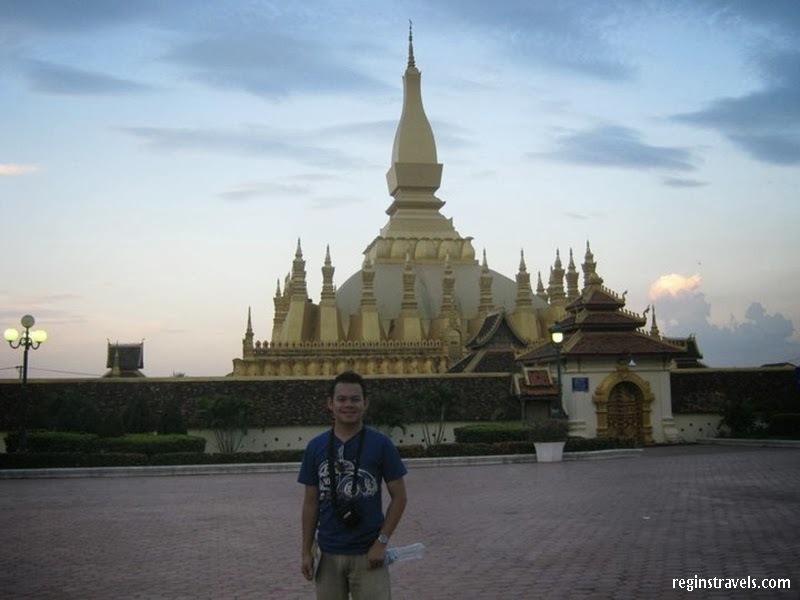 This a Buddhist temple and is the national symbol of Laos. The emerald Buddha once stayed here. Many restaurants, cafes, bistros, hotels, and hostels line up beside the Mekong river. It's a great way to relax and meet fellow backpackers and tourists. Vientiane is a walking city. It's safe. By leisurely walking, you can enjoy, discover, and explore this communist city. You're in Laos, and this is the opportunity to have authentic Lao food. I had a large bowl of Lao pho in my recent visit, and oh my... it's so delicious! 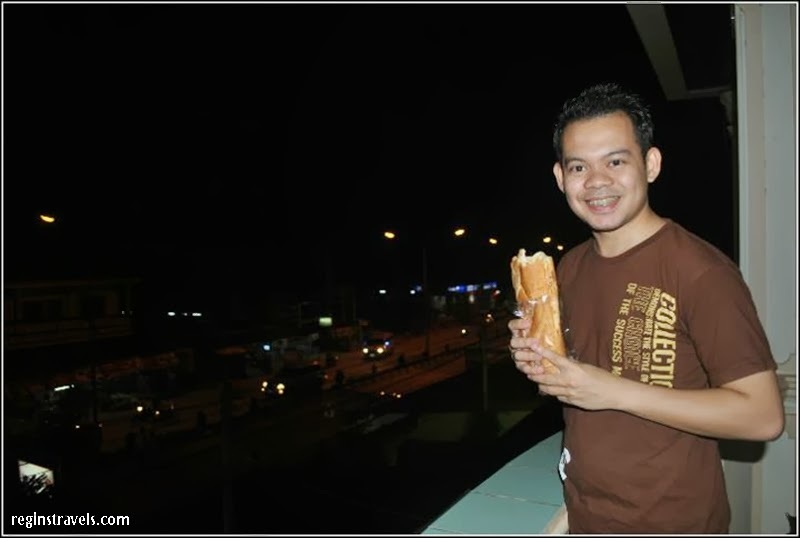 A former French colony, they sure know how to make very good bread. Don't forget the somtam Lao too with sticky rice in a small basket. 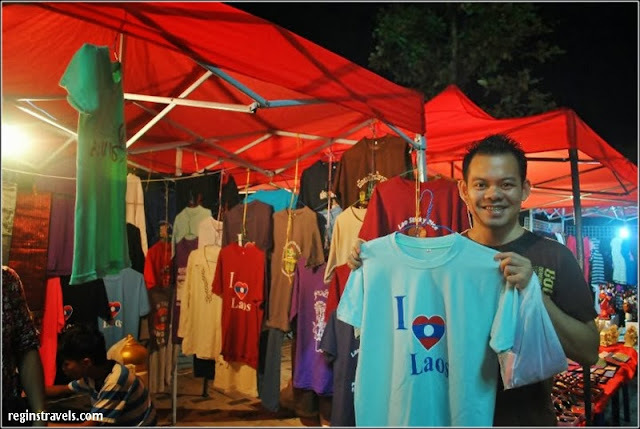 Countless Lao products and souvenirs can be found in this night market. It's a great place to buy Lao products for your friends and family back home. Now. you'll have an additional magnet for your fridge. Many massage parlors can be found in this city. Try it so you can compare it with Thai, Shiatsu, and Swedish. 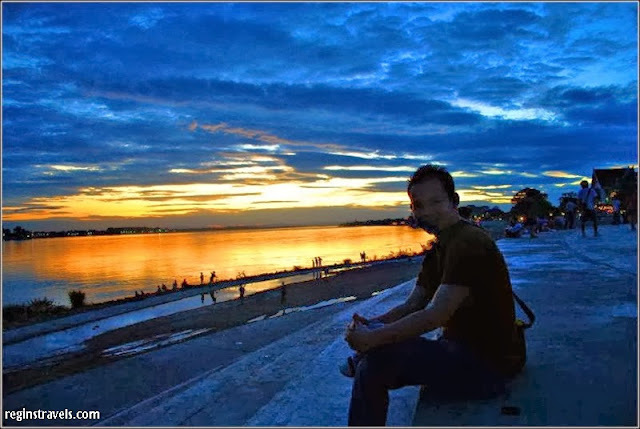 The Amazon river of Asia, the 11th longest river in the world, and one of the most important rivers in the world can be found in this city. Marvel at the beautiful creation of God, especially as the golden Asian sun sets. A collection of more 200 60-year old statues of Buddhist and Hindu images, this park is located 20 km outside of the city. Tuktuk is the best mode of transportation in going to this area. Laotians are friendly people. Take your time and mingle with them while eating in their mini-stores and cafes along the road. You'll learn more about them by doing this. Your're a tourist so try the things that aren't in your place. This is their version of the rickshaw. Make use of your time and explore this wonderful city. You never know when you'll be coming back. Other popular destinations in Vientiane are the War Museum and Morning Market. I don't really recommend these places. Their OK but I'm not a fan of museums. Meeting people and observing them is more educational. And the Morning Market is not really a market but a mall. We have lots of those in Manila and Bangkok. 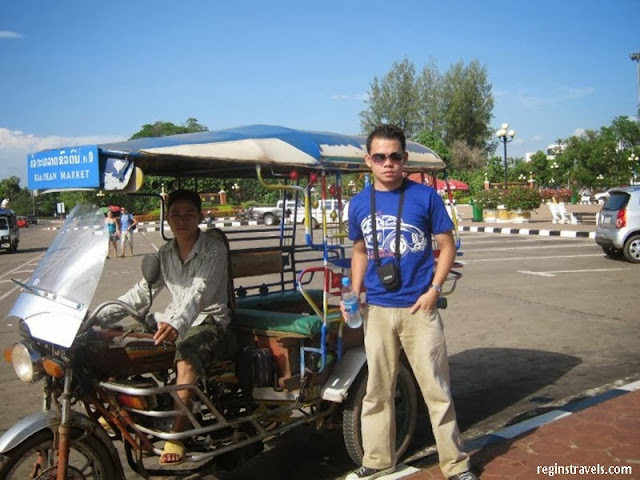 For visa run to Vientiane I highly recommend Meesuk Travel. They have trips to Vientiane every Sunday and Wednesday evening. Meeting place is at KFC Max Valu in Pridi Banomyong, Sukhumvit soi 71.